Picking a strong password is no longer as easy as it once was. Using using several web services and multiple devices might make life easier, but it also comes with a price: vulnerabilities. It is especially a concern when it comes to protecting private information such as bank accounts, credit card digits, and social security numbers. If you choose to take this advice and create secure passwords, you will run into another problem: remembering them. For website passwords, most modern web browsers offer great password management tools. Mozilla Firefox even offers the option to set a master password so others using your machine can not make their way into your accounts. If you are even more paranoid, KeePass is a great open source cross-platform password manager. It even offers two-factor authentication by requiring users to use a flash drive, which works as a key to unlock the database, in addition to a regular password. Steve Gibson’s secure online password generator is also great for creating a random key from any browser. Good work! This will help me a lot!! I really do use 6 lettered passwords :P. now i gonna chng them. Be sure to visit my blog and tell me how you like it ! http://create-n.blogspot.com/ visit my blog! 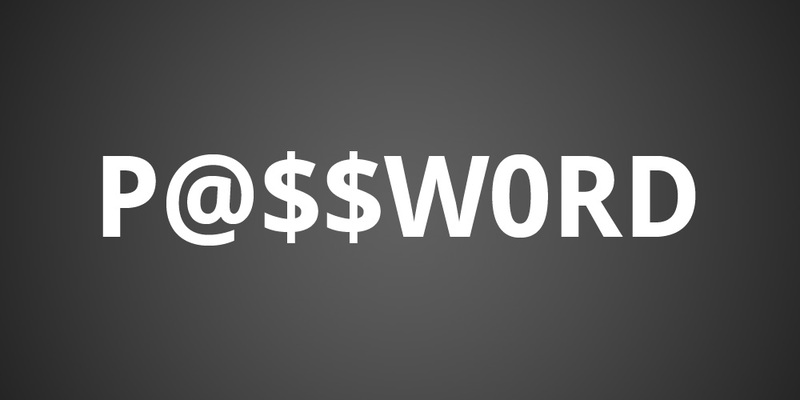 Sometimes it can be hard to remember what sentence you’re currently using as a password, especially if you have to change your password frequently. Here’s an easy-to-generate and easy-to-remember method that I use at work, where we are required to change our passwords on a monthly basis. One system that I log into requires an eight character password while the other requires a minimum of 12. 1) Take first letter of first name and enough characters of last name to make seven characters in total. Capitalize the initial character of first and last names. Add the current month. Example: GBrowni6 (for June). 2) Take first three characters of first name and first four characters of last name to make seven characters in total. Capitalize the initial character of first and last names Add the current month. Example: GeoBrow0 (for October). 3) Take first three characters of first name and first four characters of last name of next person on the list. Capitalize the initial character of first and last names. Add the current month. Example: GeoChar2 (for December). To turn the eight character password into a 12 character password, I always add the same static string of four characters at the end (a combination of alpha & numerics, although you can throw a special character in here, like an underscore or a dollar sign if your system allows it). The password that is generated is strong because no part of the password can be found in a dictionary (unless someone has a name like Pat) and it doesn’t use your own name. You can also do things like moving the month number in between the first and last names or do special character substitutions (like an @ for the letter ‘a’). It generates as password that’s easy to remember, because all you have to do is remember whose turn on the list it is this month and the algorthim you’re using. More importantly, it allows you to work backwards and remember a password you used months ago. For example, there are multiple systems that I use at work that require the use of a password, and if I forget to change one of them and a couple of months go by, I can always “remember” the password by working backwards through the list and generating the passwords for the past few months.